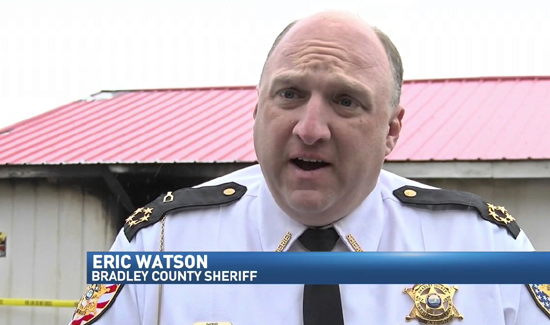 In Tennessee, a special prosecutor has dismissed all 12 felony counts against Bradley County Sheriff Eric Watson. Jimmy Dunn, 4th Judicial District Attorney General, said in a news release the state’s case involved allegations that Watson failed to pay taxes on vehicles he bought in Florida and sold in Tennessee in 2016. In July 2017, a grand jury charged Watson with six felony counts of having or using forged vehicle titles. “Only yesterday was my office able to verify the authenticity of the provided records and since they were not in my office’s possession at any time prior to December 29, 2017, these documents were not presented to the Bradley County Grand Jury,” Dunn wrote. “After conferring with my staff and searching my own conscience, I will not proceed further with the case. Even though there may be technical violations of the law, the spirit of the law seeks to punish fraudulent conduct that deprives the State of Tennessee of its lawful taxes and fees and since Sheriff Watson rectified this failure prior to the seeking of the presentment, this case will be closed with a dismissal of the case on all counts,” Dunn wrote.